Keep your people feeling positive even when facing a downturn. During times when the economy reaches a low point, many businesses may have to rationalize and downsize their operations to survive. The impact of these changes is likely to affect you as a manager. 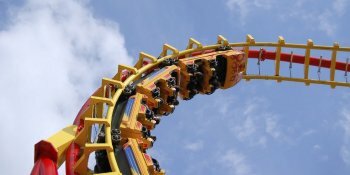 People may be uncertain about what might happen, and managing the mood and morale of your team – and perhaps the ups and downs in people's productivity – may sometimes feel like a rollercoaster ride. You're probably expected to keep your team members motivated, just when you have little to motivate them with – and keep morale up, when there's little good news to spread around. So, what do you do in these situations? Fortunately, there are some strategies you can use to handle the tricky task of managing your team in a down economy. In this article, we cover key areas like communication, morale, and focus, and offer up some ways you can keep your team going in the midst of this chilly economic climate. And, of course, these strategies for motivating your team can also be used when the economy is more buoyant. One of the first things to happen when economic conditions are difficult is that the rumor mill starts turning. When things are so uncertain, fears and rumors can ignite with a spark, and, if not contained and dealt with, can spread through an organization quickly. While you may need to talk with your bosses about how to manage the situation, try to keep any 'closed-door sessions' and private conference calls to a minimum during this time. Why? Well, because all the cloak-and-dagger secrecy is likely to incite fear, spark rumors, and lower morale. Your team may assume the worst if they suspect something's up. It's therefore often a wiser strategy, where possible, to keep them in the loop.